A conveyance of land in Vermont is authorized by 301 of the Vermont Statutes, which states that "conveyances of land or of an estate or interest therein may be made by deed executed by a person having authority to convey the same, or by his or her attorney, and acknowledged and recorded as provided in this chapter." If real estate in this state is not conveyed by a written instrument, it will have the effect of an estate at will only. An estate or interest in lands will not be assigned, granted, or surrendered unless by operation of law or by a writing signed by the grantor or the grantor's attorney ( 302). The customary form for a conveyance in Vermont is a warranty deed. Quitclaim deeds are also commonly used in this state. Real estate in Vermont can be conveyed by persons or corporations having the legal authority to do so. A person can convey real estate in Vermont to himself or herself in a different legal capacity; or to his or her spouse; or to himself or herself and one or more other persons, including his or her spouse ( 349). A public or private corporation that is authorized to hold real estate may convey the same ( 346). Land that is held in adverse possession in Vermont may be conveyed. Adverse possession of land is a process by which land can change ownership when someone who possesses another's land for an extended period of time may be able to claim legal title to that land. A duly executed deed in Vermont will have the effect of conveying whatever title the grantor may have, apart from any actual possession thereof by any other person claiming the same ( 541). A deed or other conveyance of land in Vermont is required to be signed by the granting party and acknowledged by the grantor before a town clerk, notary public, master, county clerk, or judge or register of probate and recorded in the clerk's office in the town where the land is situated. Other essential elements of a real estate deed in Vermont include a description of the property, evidence of payment of the Vermont Property Transfer Tax, and a granting clause, which details any covenants that are or are not included. 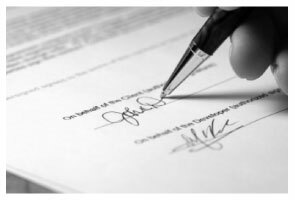 The Recording Act in Vermont follows a notice statute, which protects a subsequent purchaser or lender who acquires an interest without notice of a prior unrecorded conveyance or lien. In Vermont, a bargain and sale deed, a mortgage, or other conveyance of land in fee simple or for term of life, or a lease for more than one year will not be effectual to hold such lands against any person but the grantor and his or her heirs, unless the deed or other conveyance is acknowledged and recorded ( 342). Real estate deeds must be recorded with the town clerk in the town where the property is located.